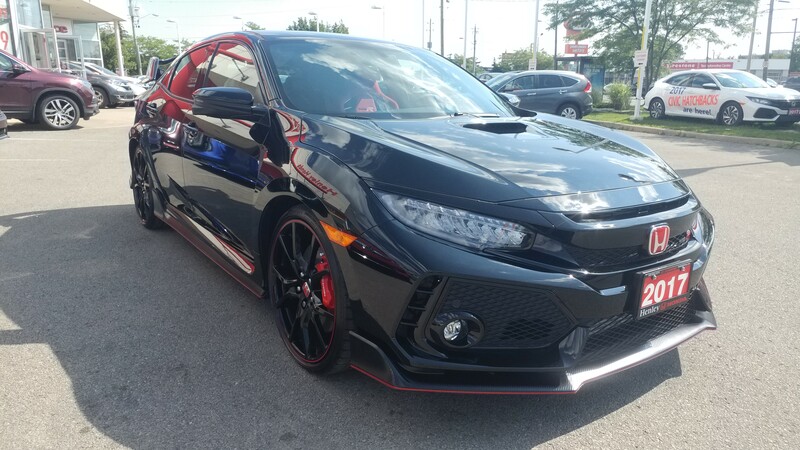 Henley Honda | Uncategorized | The Type R Is The "Best Sport Compact Car Money Can Buy"
The Type R Is The "Best Sport Compact Car Money Can Buy"
According to a recent test done by AutoGuide.com compared the 2017 Honda Civic Type R against similar sport compact car competitors to see how it measured up. The competition ended the way any Honda fan can tell you it would. The Type R came out on top as the best sport compact car available on the market.The competition compared the Subaru WRX STI, the Ford Focus RS, and the Volkswagen Golf R against the Type R. We’re breaking down the competition to show you exactly how the Type R excels over other models in its class. The Civic boasted the most power out of all four models. The Civic was the only front-wheel drive car in the contest, but that offered no disadvantage. The 2.0-litre turbocharged engine is rated at 306 horsepower, and has 295 lb-ft torque.This incredibly powerful engine gave the Civic a boost to reach a lap time of 1:22.45 – the fastest of all four of the cars in the competition. AutoGuide.com saw what Honda owners have always known, and that is that Honda vehicles are incredibly reliably made. From the transmission of the Type R to the adaptive dampers, the Civic impressed, able to handle the weight transfer without feeling off balance or any loss of control. Despite taking a number of turns full speed, the torque vectoring system stood up to the test, the understeer never causing any issue. The brakes worked flawlessly during the competition, slowing the vehicle down rapidly without pulling in any direction. True to the Civic name, the Type R is as practical as it is powerful and impressive. The Civic easily surpassed all other sport compact cars in the competition with 730 litres of space available in the tailgate. It is also an economical choice to purchase. The Type R offers a 25 km/gallon rate that stood up to the test. Though of the four options the Canadian base price wasn’t the lowest, the MSRP is still relatively low, at $42,612. Interested in seeing how the models all stacked up? Check out the video below.